I can’t believe how fast time flies! My shop, The Papery Craftery, is turning 2 years old this week! I just wrote about what I’ve learned in the last two years, but now it’s time to party! 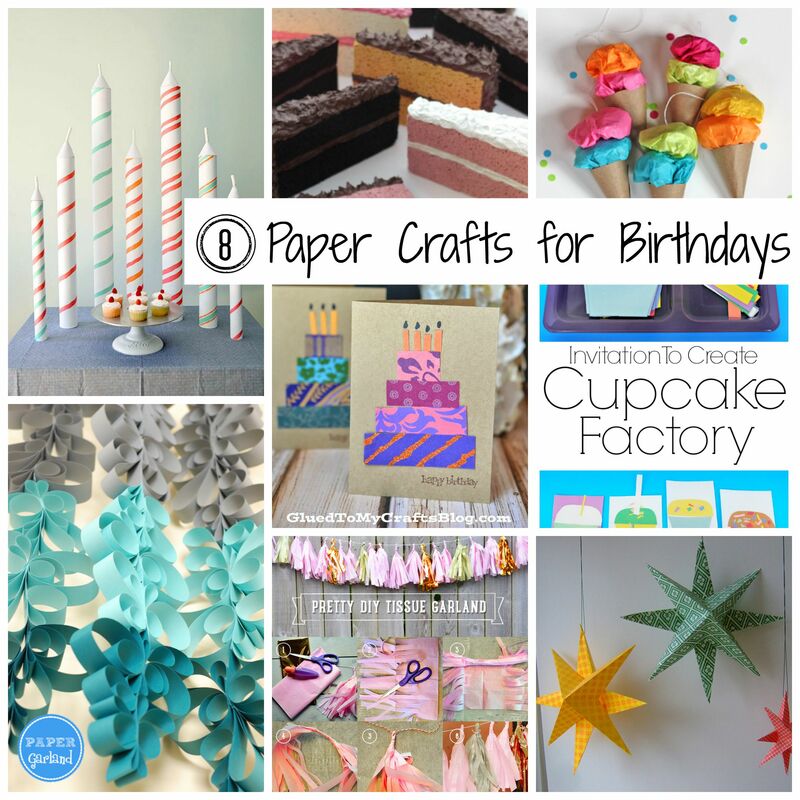 To celebrate, I’ve created a round-up of an amazing group of 8 paper crafts for birthdays. These unbelievable extra-large candles from Snowdrop and Company, are the perfect use for big paper tubes! Pure Joy Events used her paper garland for Hanukkah, but they would be beautiful for any party! I’m loving this Cupcake Factory from Cutting Tiny Bites! What a great party activity! Here are some adorable paper ice cream cones from How About Orange. So cute as party favors! AJ and CJ Play is letting us in on the secrets to making tissue paper garland! Glued to My Crafts Blog has found the perfect use for all those bits of extra pretty paper that are hanging around! I could see these paper stars from Annekata hanging around my house year round! These cake postcards from SheKnows might be more of a mixed media project than a paper craft, but they’re so perfect I had to add them in too! I’m so excited to be starting another year with The Papery Craftery. I have so many ideas for new products and promotions. But for now, I might just throw myself a little paper party with some of the ideas I featured here! Which is your favorite? Do you have any other party paper craft ideas that you’ve used in your celebrations? Leave a comment below and tell us all about it!